In addition to getting a few things packed away and organized, we also lit off the burn pile! Our awesome new siphon pump- thanks dad! The status of my burn- yucky. 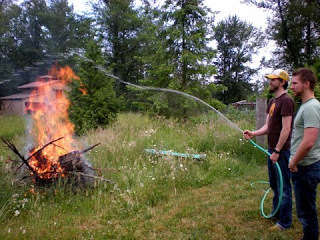 I seriously smile every time I see that pic of us squirting the hose over the fire.